In the myths, legends, and folklore of many peoples, the returning, physical dead play a significant role, whether they are the zombies of Haiti or the draugr of Scandinavia. But what are the origins of an actual bodily return from the grave? Does it come from something deep within our psyche, or is there some truth to it? In Zombies, Bob Curran explores how some of these beliefs may have arisen and the truths that lay behind them, examining myths from all around the world and from ancient times including Sumerian, Babylonian, Egyptian, and Celtic. Curran traces the evolution of belief in the walking cadaver from its early inception in religious ideology to the "Resurrections" and cataleptics of 18th-century Europe, from prehistoric tale to Arthurian romance. Zombies even examines the notion of the "living dead" in the world today—entities such as the "living mummies" of Japan. 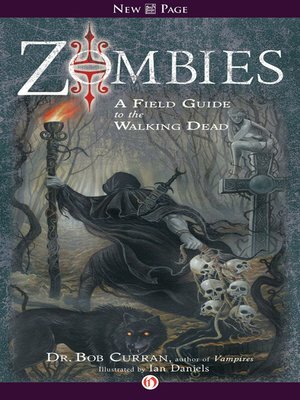 Zombies is a unique book, the only one to systematically trace the development of a cultural idea of physical resurrection and explore the myths that have grown around it, including the miracles of Old Testament prophets. It will interest those enticed by the return of the corporeal dead and also those curious as to how such an idea sits within the historical context.